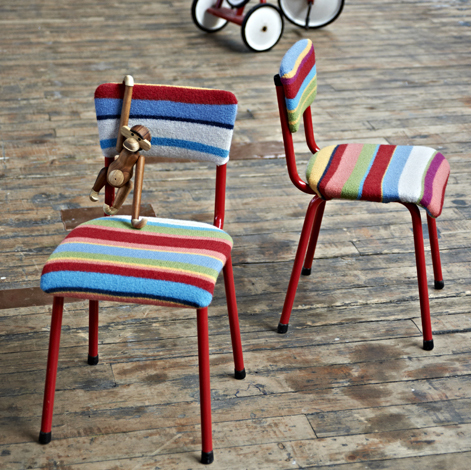 Ollie and Otis were a colourful pair of classic 1950’s school chairs, found at an antique market. 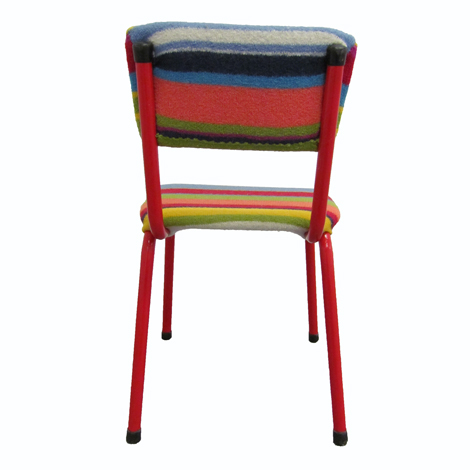 These children’s chairs were transformed by painting the legs in red gloss and creating a brightly coloured knitted stripe padded seat. 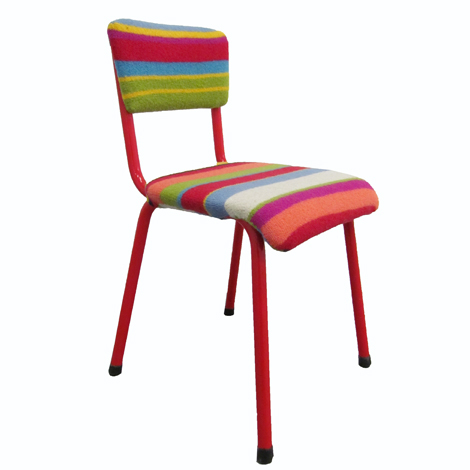 We used the same colours in different orders to create a mis matching look.